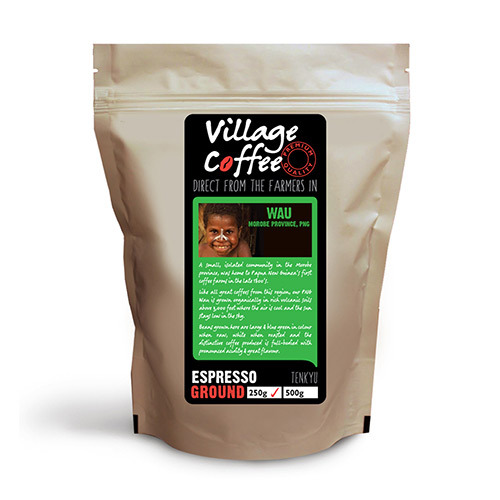 Village Coffee project is set up for the growers who have been exploited in my opinion by existing coffee companies. Whatever we are told by coffee companies and certain certification bodies claiming to bring growers out of poverty, nothing is further from the truth. The growers still remain underpaid for doing 95% effort for you to enjoy your cup of coffee each morning AND they use their best fertile land to grow this coffee. TODAY the real story is, the grower earns 3-5% of the retail prices on the shelves of supermarkets and on online shops. BUT, Village Coffee believes we can change this injustice with your support as we bring to you true, real live stories of grower’s struggles of so much effort yet very little reward. 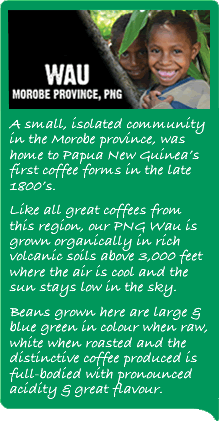 Not only their stories but the freshly roasted organically grown direct from the growers. Our coffee is roasted each week, depending on demand and as your orders come, we pack and post within a day or two. Without your support for the project, the growers will never progress, some losing hope thereby preferring to use their land for growing vegetables that pay better money. Village Coffee ultimate aim is to increase from the present 3-5% closer to 35% which is very possible with volume of sales for their coffee. Village Coffee believes in a fair share of the prices you as a consumer are paying, going to the growers who’ve done most of the work. > set up a superannuation fund for growers @ $1/kg (roasted wt). Profits generated from the super funds will be proportionately distributed to each farmer’s groups for community development in education, health, water supply and etc. 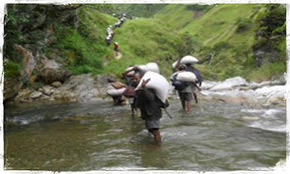 For accountability, Village Coffee will only buy/deal with registered growers through their local Co-operatives. The Co-op records and keeps details of each grower and we, Village Coffee will keep same records for easy channelling of monies to each grower. The co-ops are set up with the assistance of the Coffee Industry Corporation, a government run body. The grower under Village Coffee will earn a total of $5/kg Details of how payments will be made is available on request from supporters of vision. A total of $9.00/kg goes back into economy as against present of $3.50- $5.70 and a good percentage of this is for the grower. 3. Where the country earns average of $4.2/kg today, this concept will bring into the total economy $9.00/kg, plus profits from super fund investments.